FO: Harvard Vs. Yale Socks | Stitch, Brinn, Stitch! 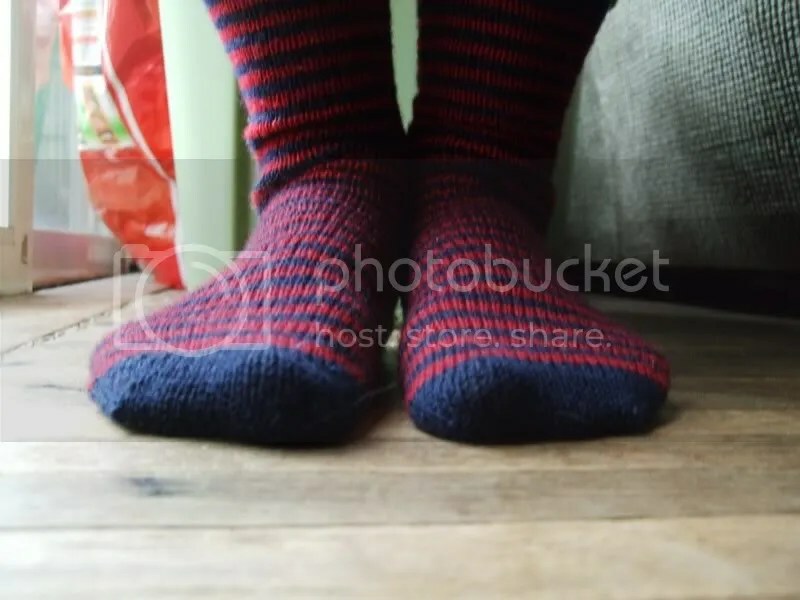 As previously mentioned, I finished my striped socks at the KIP event the other day. I’m pretty thrilled with how they came out and I do love socks. 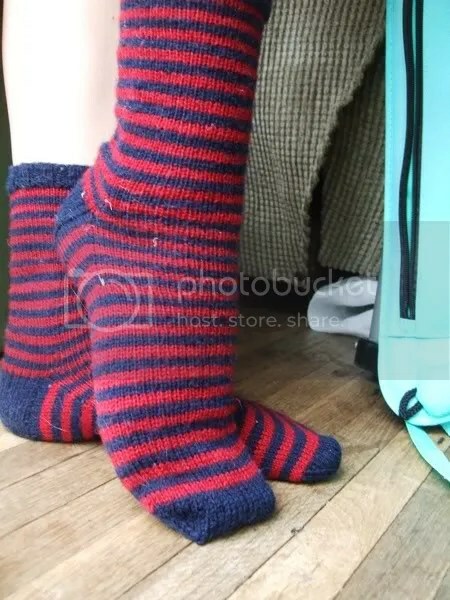 Pattern: They’re cuff-down socks. Flap heel, wedge toe. They’re socks, and I like them. They’ll be toasty warm in the winter. Hell, they were toasty warm in the D’Art Center, where it was FREEZING. I was in my Green Leaves tank and I was SO COLD. So finishing the socks was lovely so I could warm up my feet. 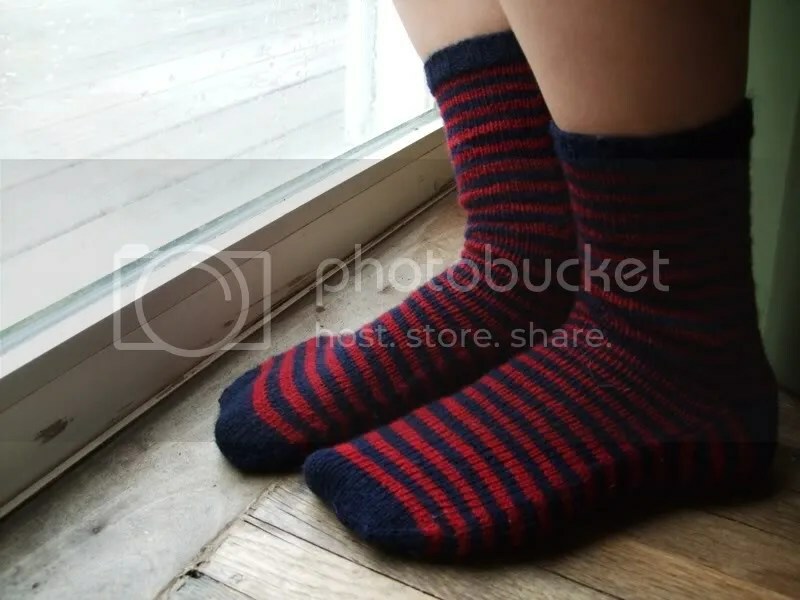 There is not a whole lot to say about socks other than they are warm and comfortable and they fit well. I shall have to start another pair because as I’ve said before, I’m on something of a sock jag and I really enjoy knitting them. And filling my drawer with handmade socks. Yay! In other news: Joe is here today! *dances* I am super excited that he is visiting, so forgive me if I am gone for about a week. (But I’ll probably still be around). Yay! Boyfriend!